Jogging with your dog? Try out the hands-free Ruffwear Roamer Leash and enjoy your runs together. Here’s my review. When I first got Banjo, I was excited to have an energetic pup who could go running with me. I love running, but solo outings can be a little tedious. Once she was big enough to keep up with me, I started taking Banjo out. I immediately realized that my jogging companion wasn’t going to just trot contentedly by my side. 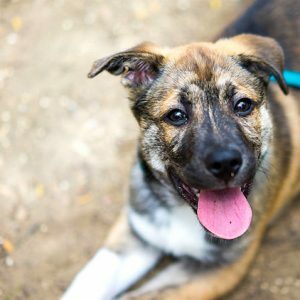 On those first few runs, I ran into some major problems while using a standard 4-foot leash and collar. 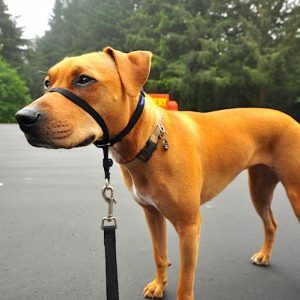 I soon fit Banjo with a comfortable harness and began shopping for jogging leashes. After a quick search on Amazon, I decided to buy the Ruffwear Roamer Leash. Banjo already had a Ruffwear-brand harness, so I was familiar with the company, and the reviews were mostly positive. It adjusts to fit around my waist, leaving my hands free while jogging. 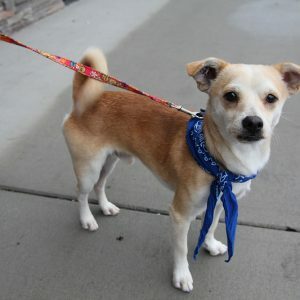 It has a length of webbed, stretchy nylon, giving the leash a bungee-type of flexibility that keeps Banjo from jerking too hard ahead. It comes in 2 lengths — medium and large — and the medium was a perfect fit for us. It comes in a variety of eye-catching colors that are more visible in lower light. At less than $35, it’s affordable. At first, I bought the large length, thinking I’d need a longer leash to keep from tripping over Banjo. But with the full extension reaching 11 feet, I found that she was too far away — and I had a hard time keeping her from zigzagging all over the trail as we ran. I still keep the longer leash as a backup, but now I primarily use the medium length (with a full extension reaching 7 feet). The Ruffwear Roamer Leash is durable and affordable. The talon clip that attaches to Banjo’s harness is durable, but it can be tricky to open if you have a wiggly dog or cold fingers (from jogging on a chilly day). There is a layer of padding along the section of leash that wraps around your waist, but it’s so thin that I don’t find it effective when Banjo is excitedly pulling forward. The leash is adjustable, allowing you to wear it around your waist or create a smaller loop to hold in your hand. I’ve tried both and found that the leash is extremely uncomfortable and stiff to hold in my hand, and I always revert to wrapping it around my waist. 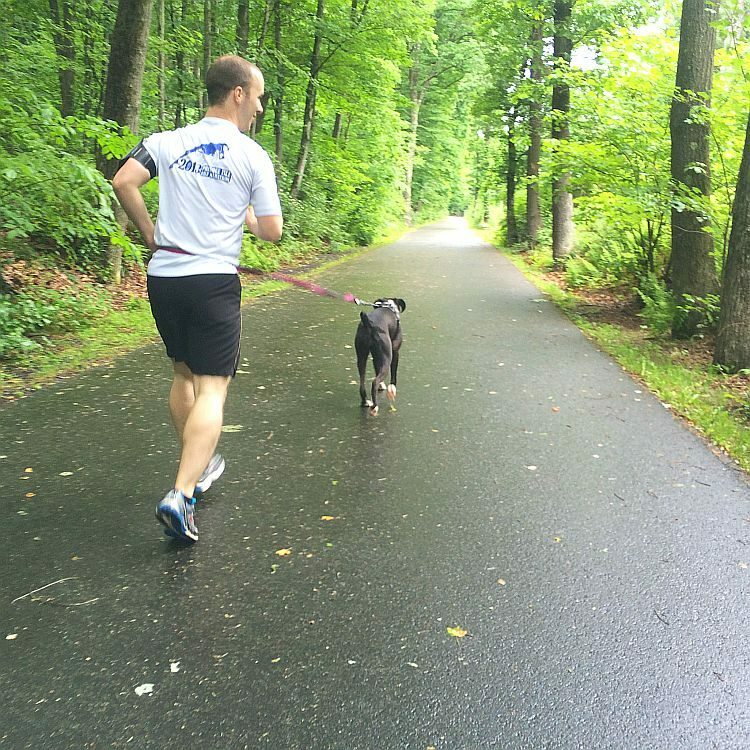 This leash wraps around your waist so your hands are free when you’re running with your dog. I wouldn’t still be using the Ruffwear Roamer Leash if the pros didn’t outweigh the cons. Durability: I’ve been using this leash since June 2016. During nicer weather (April to November), I sometimes run with Banjo 15 miles a week. Even after continued use, the leash’s webbing has maintained its elasticity and there’s no fraying or signs of damage. 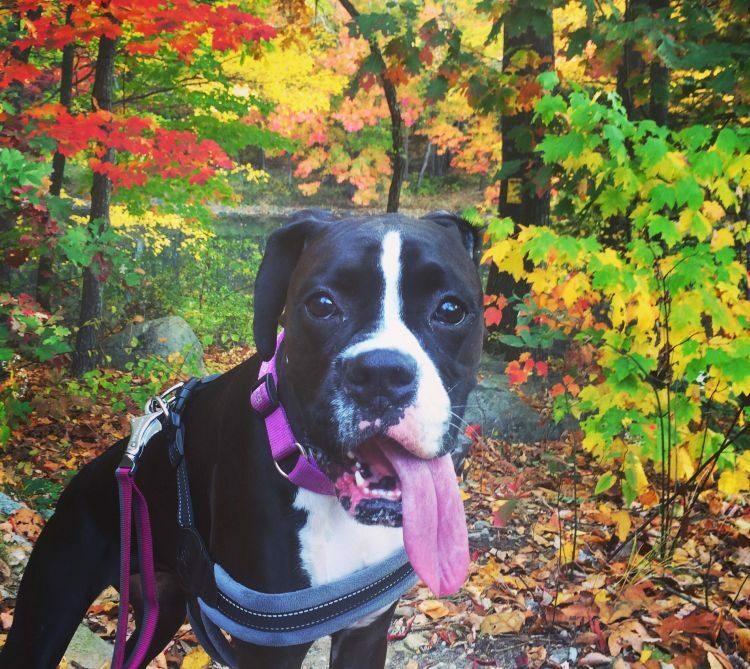 Comfort: Banjo is a strong dog, and if she happens to see a squirrel (or squirrel-shaped leaf) on the trail ahead of us, she lunges forward with all 60-plus pounds. If I’m mid-stride, it’s extremely important that there is some give to the tension in her lunge. With the leash’s webbing, even when Banjo jerks forward, I can maintain my balance and guide her back to me. Control: There is a “traffic handle” near the buckle attachment, so I can use that to get control of Banjo quickly (when we’re crossing the street or passing an unfriendly dog). If we’re leisurely jogging along an otherwise empty trail, I can let that handle go — if Banjo stops to sniff, the webbing in the leash gently tugs her as I pull ahead. 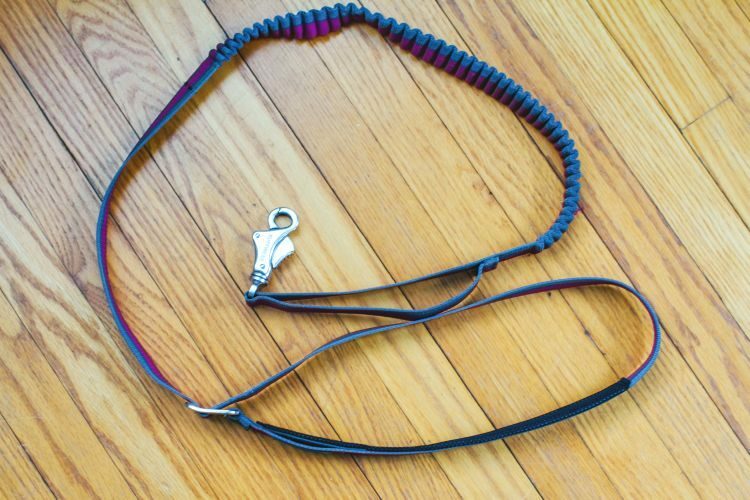 Overall, the issues I’ve had with this leash are minimal and easy to forgive. Using it has made running with my dog so much more manageable. Without it, I doubt I’d be taking her on many of my outings. I continue to be impressed with how well the leash has withstood a year and a half of regular use and would recommend it to anyone wanting to take their dog jogging. Learn more about the Ruffwear Roamer Leash on Amazon. Walking the Dog? Hold the Leash the Right Way.